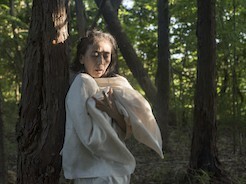 Since a 2015 exhibition at Wesleyan from the ongoing project A Body in Fukushima, Eiko and photographer William Johnston have visited Fukushima on two more occasions in the summers of 2016 and 2017. 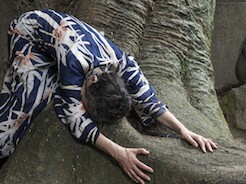 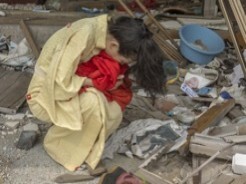 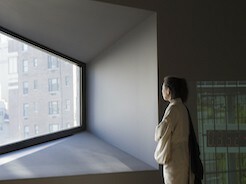 This exhibition features new work from these two visits to the area devastated by the earthquake, tsunami, and nuclear meltdowns of 2011 as well as from Eiko's performances this fall at the three different locations of the Metropolitan Museum of Art in New York. 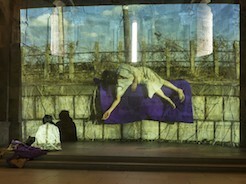 At each Met, Eiko performed throughout the open hours projecting a video of images from Fukushima that did not repeat even a single picture. 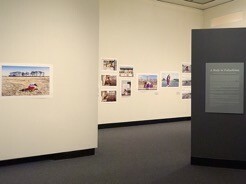 This exhibition at Wesleyan features the video footage she used in those performances and footage from the performances themselves. 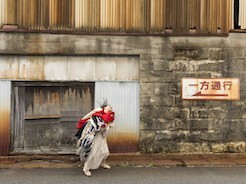 It also includes several large-scale photographs that Eiko and Johnston created in their two most recent trips to Fukushima.